Originally published in Kiwi Families online parenting resource. Sometimes the stress builds up in the family and everyone is affected. When feelings build up and weigh a child down, even the simplest requests can feel overwhelming for them. At these times children’s emotional needs become very high, but instead of asking for extra hugs and connection, they’re more likely to become grumpy with all around them. Much of what is judged to be defiance, misbehaviour, resistance, laziness, spite or selfishness stems from your child having unmet emotional needs and consequently not feeling good in themselves. At such times reasoning, demanding, appealing, threatening or bribing can add to their underlying frustrations and do nothing to address their unmet emotional needs, but applying a little empathy goes a long way to turning things around. Maintaining our child’s emotional health and wellbeing is essential to fostering a culture of harmony and cooperation in the family. And maintaining their emotional health depends a lot on the amount and quality of connection we can give them. Children not only thrive on connection, they struggle to cope when it breaks down. It can be a challenge to make time to give our child quality time and attention, yet when we remember to prioritize moments and activities that foster connection our child really thrives. They develop their sense of themselves through our reflections, so when we're generally being warm, caring and affectionate, they can develop a warm and caring relationship with themselves and the world around them. Children tend to feel loved when we give them positive attention through listening attentively, letting them engage us with their activities and questions, and empathizing with, supporting and validating their whole range of feelings, reflecting that we value their contributions. Our children can generally only cope with their feelings to the extent that their parent can cope with them. When difficult feelings are listened to, accepted and understood, they become much less difficult, it allows the child to feel normal and ok about themselves again. The more genuine loving empathy we give our child, the quicker they can bounce back to feeling calm, settled and more secure. Many parents worry that giving their grumpy upset child lots of empathy may encourage them to become overly needy. Sometimes it can seem like this is true because your empathy initially results in an increase in the intensity of your child’s expressions of anger, grief, disappointment or other frustrations. Yet, this is generally indicative of the child now feeling safe enough to truly feel and show their true feelings. In fact, so many studies have shown that when parents are empathically responsive to their children, those same children are more likely to develop greater empathy for others as well as generally having a higher emotional intelligence and resiliency. When children don’t feel judged for being angry, they’re more likely to cry and seek out a comforting hug rather than hit the baby. Children develop strong emotional resilience if they are consistently cared for when upset. Yet empathy doesn’t come naturally to all parents. Many of us didn’t receive much of it as children and really have a lot to learn about empathic communication. When this is the case, a parent's commitment to show their child more empathy can lead them to seek more empathy for themselves and learning to be more empathetic towards themselves, as it's difficult to give that which we're not receiving. Counselling can help enormously in that the parent will no doubt re-visit how they truly felt as a child in certain situations which gives a wealth of insights into the vulnerability of dependency, the needs of the child and the inner world of children in general. Some parents hold back because they worry that they’re being too presumptuous by making a guess at their child’s feelings. What if you get it wrong? What if you add to your child’s confusion? When you’re sincere, your enquiry into their feelings gives them support and permission to self-enquire on a feeling level. Sensing your openness, your child will disagree if they need to. In response to “you seem really frustrated”, when expressed openly with the tone of wondering as opposed to stated factually “you’re angry!” (Which would be presumptuous), your child might reply “No! I’m not angry! I’m just disappointed!” This process helps children develop their feelings vocabulary and children with a greater feelings vocabulary are much less likely to become overwhelmed and more likely to find a way of expressing their feelings and needs in healthy ways. Hence quicker to return back to being able to problem solve and listen to their parent's reasoning. Showing that you’re guessing what your child is feeling tends to speak to their heart, it shows them that you’re actually taking the time to try and understand and relate to their feelings. This creates emotional safety for your child, emotional safety is about allowing them to let down their defences and show their true feelings without fear or rejection. Showing your interest in hearing and understanding your child's feelings increases the bond as the child feels the relief of showing and being met in uncomfortable feelings. Uncomfortable feelings that are not resolved tend to show up as a difficulty to listen to and generally trust our guidance. Asking an upset child what they feel can increase the stress of an already stressed child. This empathetic approach of having a guess ("hmm you seem really frustrated") generally opens a child up more than directly asking “tell me what you’re feeling” or “are you angry?”, which tends to appeal more to their mind and calls on their reasoning, which can cause them a lot of frustration when emotions are strong. It’s also confusing for children when their parent invites them to share their feelings but hasn’t yet offered any verbal or non-verbal reassurance that their feelings will be treated with respect and sensitivity. Upset children need for us to speak to and show care of their emotions before expecting them to be reasonable. Children gain the space and the reassurance that it's ok to show their feelings when the parent can truly become calm, patient and interested and give their child their full attention, even if it's just taking a minute to stop the trolly, come down to the child's level and give them an empathic and sincere look of care in the middle of a frantic shopping experience. Ironically they return to reason much faster when they're freed of the pressure to calm down and be reasonable. What about tantrums? – When a child has a tantrum, they are offloading huge feelings that their brain is not yet mature enough to cope with without adult help. The child’s fight/flight response is usually activated. To make their way back towards a calmer state, what they most need is for the adult caring for them to help them feel emotionally safe and cared for. An adult’s anger or impatience (although understandable) can be enough for them to feel threatened and become even more distressed. Reasoning or ignoring will likely also intensify the child’s stress as they're left to face big feelings alone, but a calming presence and simple words like “I know, I’m listening, I’m looking after you, I care” can help the child feel emotionally held and safe and allow them to make their way back to balance, having released through their cries, their backlog of built up stress. “If you’re concerned about your children’s future in a tough world, the best preparation you can give them is psychological health, which can only occur when they are treated with love, trust and respect. Children who feel self-confident, proud and powerful stand a far better chance of thriving, and even of changing our oppressive society.” - Dr. Aletha Solter PhD, author of four parenting books. Meeting our children’s emotional needs is one of the biggest challenges of parenting. To stay calm and connected when our children experience strong emotions takes a lot of energy to put it mildly! It’s important that parents don’t neglect their own emotional needs. Not only is it not selfish to find ways to reduce your stress, to access more support, more comfort, more kindness and empathy for your struggles, these are responsible mature proactive choices that bring more balance and support to your whole family system. Why do many parents struggle to cope with their child's cries? 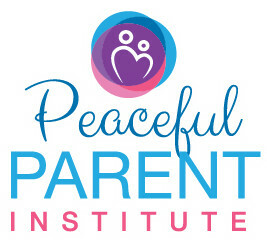 Genevieve Simperingham is the founder of the New Zealand Peaceful Parent Institute. She is passionate about supporting parents and helping them learn how to stay emotionally connected with their children through the inevitable challenges and conflicts. Genevieve is also mum to a son and a daughter who continue to be her greatest teachers. Love this, and definitely sharing! I couldn’t agree more! In fact, here’s about 2200 words of agreement: http://locallocale.wordpress.com/2013/04/24/empathy-schmimpathy-why-bother-nathan-mctague-empathy-parenting-advice/. Nathan, did you see that I shared your article on my page and it was very well received, just a couple of days ago. Thank you for all that you’re doing to raise awareness and empower parents. Thank you for the beautiful insight you provide! I appreciate your posts! Beautifully said Genevieve…parents everywhere need to read this article.